Fiology is a brand-new site that I believe will interest many Get Rich Slowly readers. 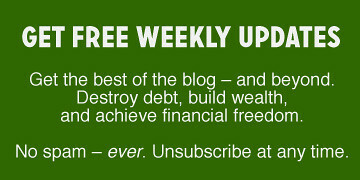 It's an attempt to gather in one place related articles about a variety of common topics from the world of financial independence and early retirement. 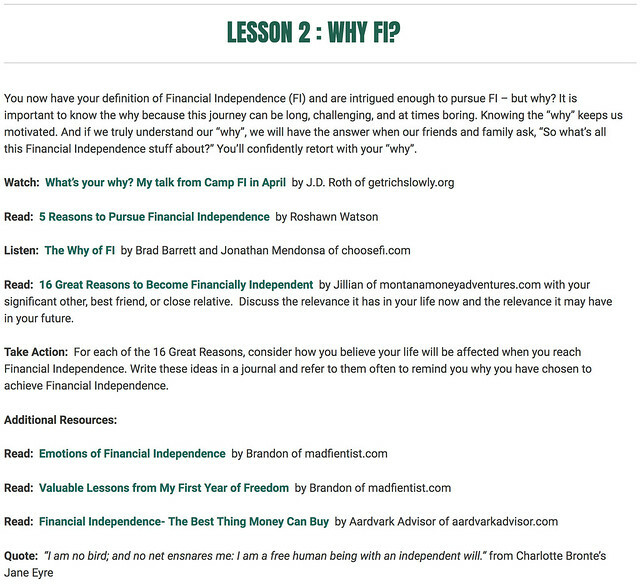 My motivations for Fiology are simple – to share the message of Financial Independence while highlighting some of the best and brightest in the Financial Independence community on the internet. At no point will a visitor be charged by me to access the information on the site. The majority of the material Fiology uses is free and readily available elsewhere on the internet. The value of Fiology is that it takes that information and organizes it into an easy reference that we can share with those interested in the concept of Financial Independence. It's a simple concept, but it's also brilliant. Each of the 53 lessons covers one specific topic. These lessons range from the milestones of financial independence to caring for aging parents, from geoarbitrage to retirement account basics, from compound interest to happiness. The lessons contain blog posts, news articles, podcasts, and YouTube videos, plus suggested apps, books, and tools. I appreciate that Fiology is uncomplicated and easy to navigate. Because its aim is to be a central resource, it's not bogged down by a lot of baggage. Baughier is able to gather information and present it in an accessible format. I also like that, if you'd like, you can subscribe to a weekly email so that you can consume all of the lessons over the course of a year. Lesson 10: Do my habits wreak havoc? Lesson 19: Don't evade tax knowledge! Lesson 25: You can do it yourself! Lesson 39: Side hustle up! Lesson 41: Who is your FI mentor? Fiology is a valuable reference for anyone interested in financial independence and early retirement. It's a site well-worth bookmarking. It's going to become the first place I visit when I'm researching articles and need help.